There is something magical about the first time you see the Northern Lights. For me it was a peek of green dancing through the light pollution that radiated from Pembroke, Ontario on the northern horizon. I had just jumped on a Skype call when I heard shouting outdoors. I asked my caller if I could call back shortly, grabbed my glasses, and raced down the stairs of the century-old farmhouse I was renting with classmates. I stood out in the cold November evening in my bare feet, mesmerized. The Northern Lights don’t often make it as south as Pembroke and I didn’t want to miss a minute. If they charge up your imagination and are on your bucket list to see, a little planning can go a long way to striking them off your list. What are the Northern Lights (or Aurora Borealis)? One can only imagine what our early ancestors must have thought of these ethereal lights in greens, blues, and reds shimmering across the sky. Are they dancing human spirits? Omens of war? Fires in the Far North? We now know of course that particles discharged from heavy solar activity – solar flares, winds, sunspots, and the like – interact with molecules in the Earth’s magnetosphere, generating the light-show as the molecules emit light. We in the northern hemisphere are not the only lucky ones. The aurora can be seen in the southern hemisphere as well and are known as Aurora australis. Where can I see them in Ontario? 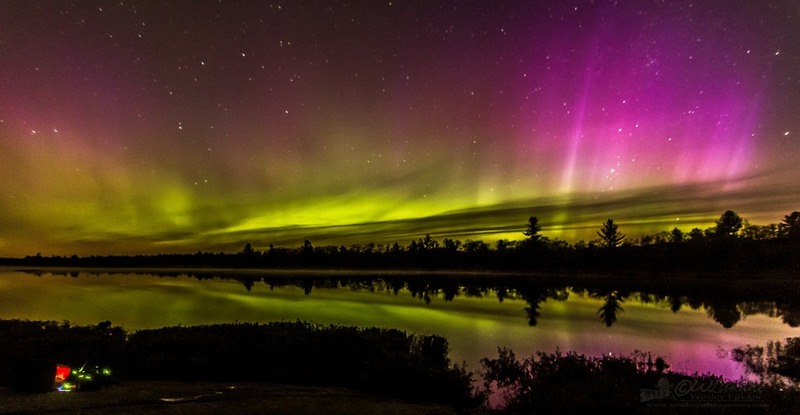 While north of the 65th parallel is still your best bet for catching a glimpse of the aurora, there are a few places closer to home with reduced light pollution that offer a good chance of seeing them if a solar event cooperates. This conservation area outside of Gravenhurst and southeast of Bala, has carried the dark-sky preserve designation from the Royal Astronomical Society of Canada (RASC) since 1999. The province administers the preserve’s 1,990 hectares (~4,900 acres) of Crown land which is surrounded by either protected or undeveloped land, creating a virtual absence of light pollution only two hours away from Toronto. 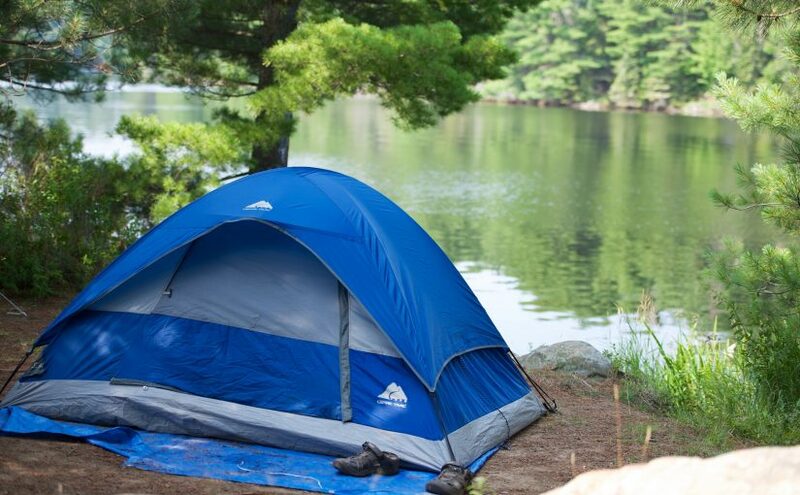 Go early in the day and explore the areas of exposed Precambrian Shield, observe diverse and endangered flora and fauna, or take in nearby Muskoka before the sun sets. Admission Free. Open year-round. Location: Southwood Road (District Road 13), Torrance, Ontario P0C 1M0. Gordon’s Park also has a 2008, RASC-designated dark sky preserve as part of their property. When astronomers are onsite for viewings only red lights are allowed in the preserve, meaning no white lights are permitted as they reduce night vision. The eco resort hosts a number of astronomy clubs, stargazing parties, meteor shower viewings, and Aurora Borealis weekends during the warmer months. Check their calendar before you go. Check gordonspark.com for rates. Open April to October. 18777 Ontario 6, Manitowaning, ON P0P 1N0. Light pollution is vastly reduced on the North Shore of Lake Superior and beyond. The North of Superior Tourism Association recommends a country drive along Highway 588 outside of Thunder Bay, from Stanley to Suomi Village to take in the Northern Lights. This time of year, be sure to check road conditions before you go. If you cannot escape the light pollution of southern Ontario, seek out a dark park or field (please be safe about your choice of location) and fix your gaze towards the northern horizon. There is a reason why they are called the ‘Northern’ Lights. How do I plan to see them? According to research from NASA, the 2014-15 winter may see an extension of last year’s solar maximum in which the sun hit its highest activity in its 11-year storm cycle, making for an excellent year for Northern Lights’ sightings. Be patient. Check forecasts for your area, keep your eyes on the sky, and good luck in your hunt. Softservenews.com provides real time aurora forecast and alerts. Darksitefinder.com shows you areas with light pollution. This article is produced in collaboration with 3beds.com camping air mattresses.